Climbing and Indoor play centre Melbourne. Funtopia Maribyrnong is the perfect family day or night out! 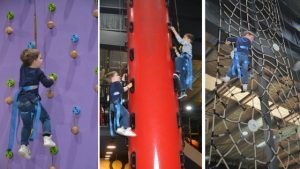 This indoor climbing and play centre in Melbourne’s West is one of the biggest indoor play centres in Australia. At Funtopia, your little monkeys will climb, jump, slide, roll, crawl, burning off their energy while laughing and having fun. Sit back and enjoy a coffee at their in house restaurant Mr Spriggins, or join in the fun with your kids. Find out more about Funtopia in Melbourne below! Funtopia is full of adventure and kids of all ages can challenge themselves with all types of obstacles. Children as young as 1 year old can run wild in Playground World with a range of different activities and courses and a special area for toddlers. 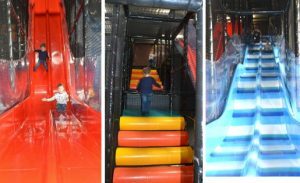 From 4 years onwards, little daredevils can challenge themselves on the 40 different climbing walls and a giant slide! Parents can even join in too! 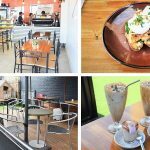 Mr Spriggins Café Resturant is onsite with serving up delicious meals unlike any other indoor play centre in Melbourne. Their EATertainment Saturdays make a great night out with the family! Playground World is one of the biggest indoor play centres in Australia with over 650sqm of play space. 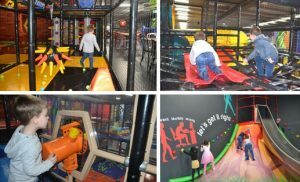 This amazing indoor play centre has 5 levels of fun activities for kids. 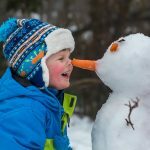 With different challenges and obstacles, kids will be entertained for hours. They can try out the 10 different slides including a huge 5m volcano climb with a speed slide! Get lost in the mirror mazes, test their driving skills on the car track, and dodge their friends in the shooting arena. Your little explorers will have endless fun in the ball pits, playing with the building blocks, spider webs, trying out the beginner climbing walls and much. 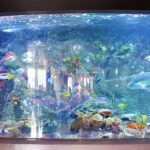 This amazing indoor play center also features some of Australia’s highlights where kids can drive a Melbourne tram, climb the scenic Sydney Harbour Bridge, visit Uluru and discover the Great Barrier Reef ball pit. Test your climbing skills with your kids at Climbing World, Funtopia. This indoor climbing centre is prefect for children from 4 years to adults of all ages. With a self-descending system, which will catch you safely if you fall, there is no need to be an experienced climber to enjoy these challenges. 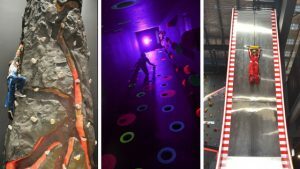 Climb 40 of Funtopia’s best interactive climbing walls ranging from beginner levels to climbing challenges fit for a pro! These indoor climbing walls help develop mental and physical strength along with a sense of balance and achievement. They are also a lot of fun! Funtopia is also the only climbing system in the world to use One More Life matting. 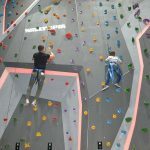 This matting covers the floor of the entire climbing arena and is designed to absorb falls of up to 12 metres height. *Prices are correct at time published, for more details click here. Every Friday & Saturday Nights from 5pm – 9pm Funtopia hosts EATertainment! Mr Spriggins, the onsite café, serves a delicious and filling dinner for guests. The Mr Spriggins menu is like no other play centre menu you have seen with full adults and children’s meals, pizza and meals to share, plus a variety of delicious deserts, milkshakes and smoothies! For a family night out in Melbourne, Funtopia the perfect destination. Eat, climb and play! And if you’re not up for climbing then just sit back, relax, enjoy a meal and watch the kids from your table. Special Note: Try the waffles with soft serve ice cream they are to die for! 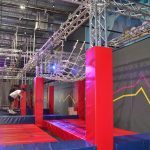 Funtopia: Indoor climbing and Indoor play centre Melbourne. This all in one climb and play centre offers fun for the whole family every day. 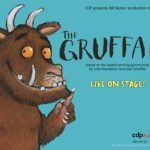 For more kids activities in Melbourne take a look at Melbourne with Kids or Family events in Melbourne.